I’m a soup-in-winter fanatic. I eat it every chance I get. It says LOVE to me. And makes me feel like all is well with the world. It’s powerful stuff! This winter I came across a recipe for Stuffed Pepper Soup and decided to try it. It was delicious! 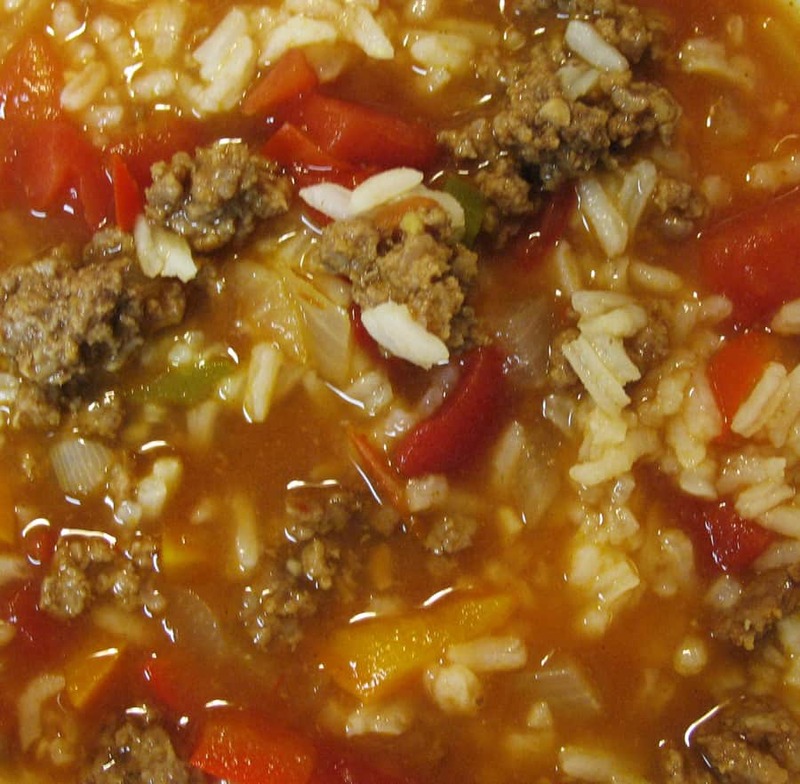 If you like stuffed bell peppers, you’ll LOVE this soup. It tastes just like them in soup form. And as if this wasn’t enough, it’s also quick and easy to make. How’s that for a win/win? Mix everything (except rice) together and cook for about a half hour or until veggies are tender. Add rice and serve. Mmmm. I make a double batch. It’s even better leftover. I hoard some of it away so no one else can find it. Yes, I’m that kind of person. You might be too, after you try it.